Cusco - Visit to Sacsayhuaman US$ 53 (based on 2 pers. ); Rafting on Urubamba RiverUS$ 65 depending on numbers; Andahuaylillas entrance US$ 4. Aguas Calientes - Hot springs US$ 4; Non trekkers have the option for second visit US$ 70 plus bus to site US$ 25 (bus paid locally); Huayna Picchu Mountain- £60; Machu Picchu Mountain £60 - Subject to availability - these must be pre-paid at time of booking and is non-refundable. If you change your passport between your time of booking and prior to travel please take your original passport with you to avoid being fined. 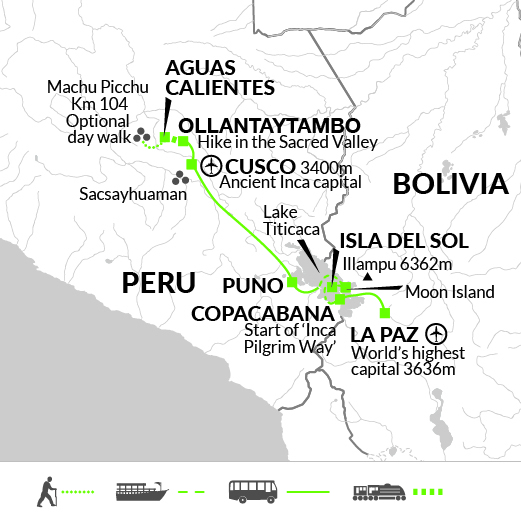 Day Trek on Inca trail from Km 104 - £130 - must be paid at time of booking. Please see Inca Pass notes below. One main piece of luggage, a good sized day sack and a small bag for two nights at Lake Titicaca (your main luggage will be stored in Copacabana). Whilst trekking, our luggage for the Inca Pilgrim Way will be carried for us, but your daypack should be large enough to carry warm and waterproof clothing as weather can be quite changeable. Remember you are expected to carry your own luggage so don't overload yourself. It is recommended you bring lockable bags. 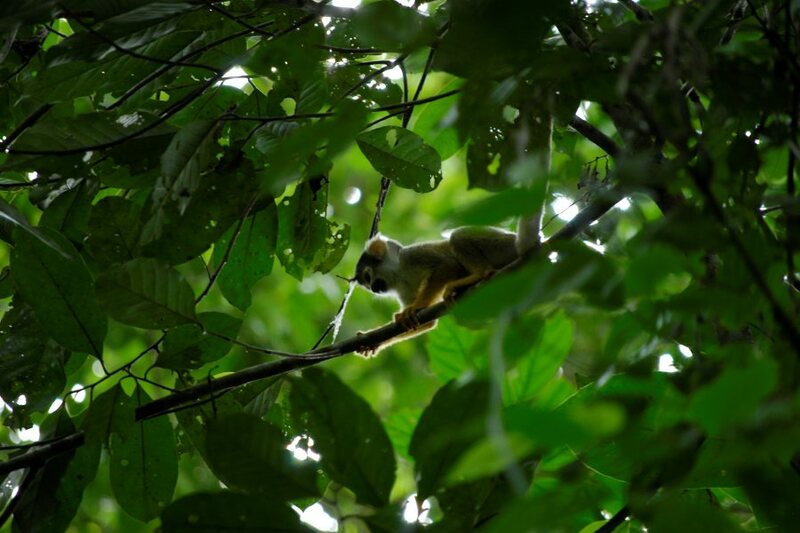 Why not extend your trip with 3 nights in an Amazon Jungle Lodge? Click here for more details.